It is my honour and pleasure to introduce myself to you the members and friends of West Lancashire Scouts. I am Neil Fletcher and proud to have been invited to become your County Chair following in the footsteps of Mike Simpson who has led the County Executive for the last 12years. Scouting has been part of my family for many years. Our involvement commenced in Birkenhead district were my father was a GSL and then District Commissioner and my mother an akela. I was a cub and a scout there. We moved to Preston, my father joined Preston district and I joined 6th Penwortham moving through scouts and venture scouts. My degree took me away from scouting but I knew at some point I would return, I became a scout leader at 5th Penwortham 11 years ago and then transferred to 2nd Longton. I hung up my woggle at the end of 2016. Both my sons are members of the Association and are now leaders in South Ribble. They have benefited hugely from their scouting journey, both attended World Scout Jamborees (WSJ), expeditions abroad and completed their Gold DofE awards. Personally I attended the WSJ in Canada in 1983 and my father led the Merseyside team to Norway in 1975, for completeness my wife’s father attend Sutton Coldfield WSJ!! Professionally I am a Pharmacist and work for East Lancashire Hospitals NHS Trust as the Clinical Director of Pharmacy and Divisional General Manager for Diagnostic and Clinical Support. Within my remit I am responsible for the delivery of services across Pharmacy, Therapies, Radiology, Pathology, Clinical Out-patients and Medical Records and Booking Services. Away from work I am a governor at Hutton Church of England Grammar School and chair the finance committee, a member of Preston Guild Rotary Club and have just completed 12 years as honorary treasurer of the KidsClub at Longton Primary School. I am also the founder and race director for the Ribble Way Runs that take place in September raising funds for charity through Rotary. 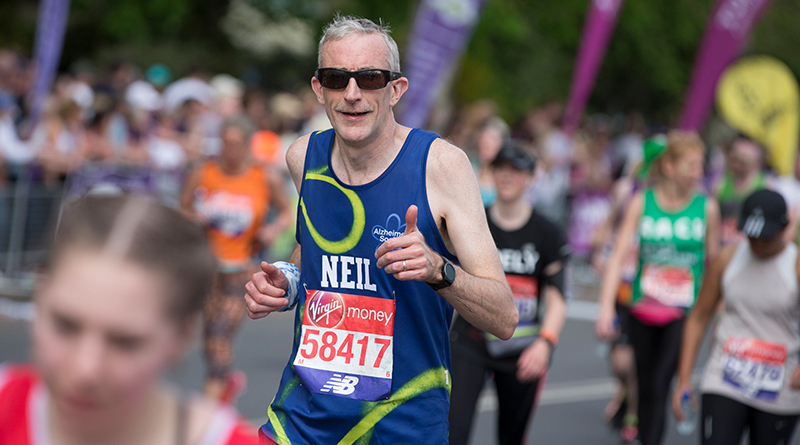 I enjoy travelling, walking and have become an avid runner recently completing the London Marathon raising funds for the Alzheimer’s Society, two more international marathons beckon!